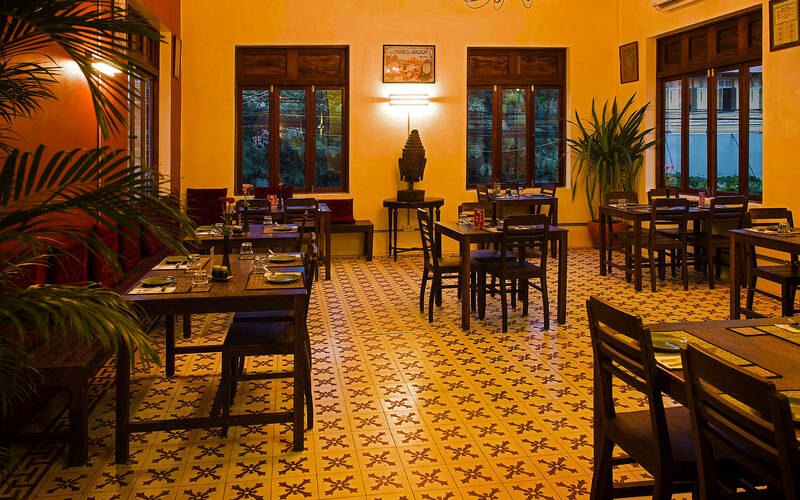 The Sugar Palm restaurants are characterized by authentic Cambodian cuisine – traditional home-style comfort food of the kind that Cambodian owner Chef Kethana learnt to cook from her mother and grandmother. Lamenting the loss of traditional Khmer cooking skills during the troubled times of the late 1970s, Chef Kethana, upon returning to her birthplace in 2002, opened restaurants in Phnom Penh and Siem Reap. Chef Kethana’s mission was to serve the kind of food that her mother and grandmother taught her to make, that she fondly recalls eating as a girl growing up in the capital. Since opening her restaurants, Chef Kethana has consulted to chefs visiting Cambodia, from Gordon Ramsay to Luke Nguyen, providing expert advice for their television cooking shows. Most nights, Chef Kethana can be found overseeing the kitchen of one of her restaurants – unless she’s out at her farm set amongst the rice-fields in the lush Cambodian countryside, where she occasionally hosts cooking classes. Citrusy salads textured with peanuts and perfumed with mint and basil. Gentle comforting curries, fragrant with lemongrass, kaffir lime and galangal. Stir-fries, straight from the wok, that burst with the flavours of peppercorns, coriander and garlic. 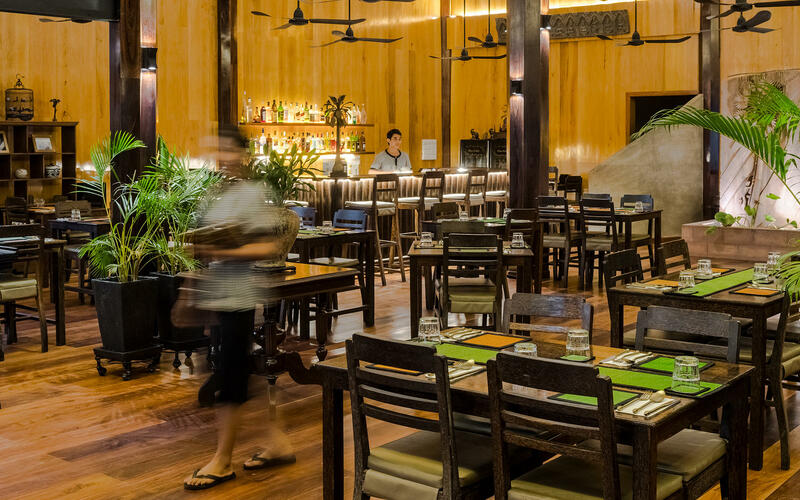 Cambodia’s Khmer Empire once ruled over much of Thailand, Laos and Vietnam, making Cambodian cuisine one of Southeast Asia’s oldest, influencing the gastronomies of its neighbours. 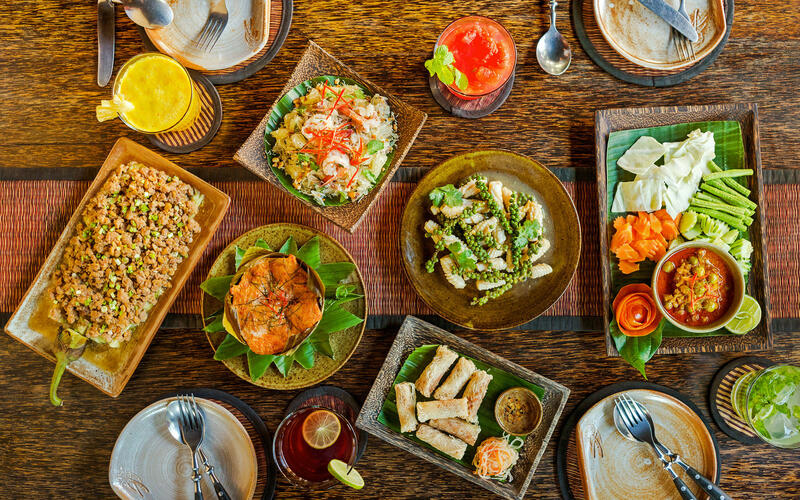 Distinguished by a subtle use of spice, delicate flavours, myriad textures, and mouthwatering aromas, Cambodian dishes are best enjoyed shared – as we would eat them in the Cambodian home.